Graham Phillips, an RT contributor covering the conflict in eastern Ukraine, was detained for a second time, and has been deported to Poland, following his arrest at Donetsk airport. The gov’t in Kiev have a policy of targeting journalists who are reporting uncomfortable aspects of the gov’t siege of E. Ukraine, as Kiev continues – with the full blessing of Washington and London, to use its military against its own people. Prime Minister Donald Tusk has told US airmen at the Lask air base that their presence in Poland, “gives us a greater sense of security in difficult times”. Donald Tusk’s visit to the base in central Poland comes as US and Polish air forces are carrying out joint exercises, with the United States stepping ups efforts to reassure allies in the central and eastern European region as the crisis in Ukraine continues to escalate. Stephen Mull, US ambassador to Poland, said in March that discussions were underway on possibly expanding the scope of exercises in the future to include allies from the region such as Czech Republic, Hungary, Slovakia, Romania, Bulgaria and the Baltic states. “Your presence in Lask gives us a greater sense of security in today’s difficult times. This is very important to us,” PM Tusk said in English to the US airmen and support staff at the base. “I would like to give you a warm welcome to Poland,” he said, the PAP news agency reports. The current rotation of American airman is the second by the US since an agreement between Washington and Warsaw was made in 2011 and could last between two weeks and a month. Meanwhile, Ukraine’s acting president Oleksander Turchinov threatened military action after pro-Russian separatists occupying government buildings in the east of the country ignored an ultimatum to leave on Monday. A Reuters journalist in the city of Slaviansk, where a gun-battle occured on Sunday, with casualties reported on both sides, has said that there is no sign of an evacuation by pro-Russian forces from the local police HQ. The United Nations Security Council held an emergency session on Sunday night, and the United States warned that it was likely to impose further sanctions against Russia if the escalation in eastern Ukraine continues. U.S. Assistant Secretary of State Victoria Nuland and Ukrainian opposition leaders Arseniy Yatseniuk of the Batkivschyna faction, Vitaliy Klitschko of the UDAR party and Oleh Tiahnybok of the Freedom party have discussed resolving the social and political crisis in Ukraine. The parties have discussed the situation in Ukraine during a meeting held in Kyiv on Thursday and have said that it was necessary to resolve the social and political crisis in the country peacefully, the Batkivschyna press office said in a statement. “The participants of the meeting have discussed the prospects of amending the Ukrainian Constitution as well,” the document said. Chairman of the Political Council of the Batkivshchyna All-Ukrainian Union and the Batkivshchyna faction Arseniy Yatsenyuk together with opposition partners – leader of the UDAR faction Vitaliy Klitschko and leader of the Svoboda All-Ukrainian Union Oleh Tyagnybok held a meeting with High Representative of the Union for Foreign Affairs and Security Policy Catherine Ashton late in the evening yesterday. The press service of the Batkivshchyna disclosed this to UNIAN. “Before the meeting of Catherine Ashton with President Yanukovych opposition leaders informed the High Representative of the Union for Foreign Affairs and Security Policy about the situation in Ukraine, in particular, about the negotiation process concerning settlement of the social-political crisis”, – it is said in the report. The parties agreed to continue communication with Ashton after her meeting with President Victor Yanukovych. Head of the Polish government Donald Tusk will hold a video-conference with three leaders of the Ukrainian opposition in the evening today. He plans to share opinion concerning overcoming of the political crisis in Ukraine with them. Prime Minister of Poland to hold video-conference with leaders of Ukrainian opposition / ReutersAccording to an UNIAN correspondent in Poland, Tusk said this at press conference in Warsaw. Tusk noted that he is about to inform leader of the Batkivshchyna faction Arseniy Yatsenyuk, leader of the UDAR party Vitaliy Klitschko and leader of the Svoboda Oleh Tyagnybok about the results of his negotiations with the leaders of the European Union, with whom his spoke concerning the situation in Ukraine last week. The Prime Minister said that the settlement of the political crisis in Ukraine is the most important task today, because the further confrontation will complicate rendering an assistance to this country. Vice President of the United States Joe Biden called President of Ukraine Victor Yanukovych to accept international aid for overcoming of political crisis. Biden calls Yanukovych to accept international aid for overcoming of political crisis/REUTERSBiden said this in a telephone talk with Yanukovych on Tuesday, Radio Svoboda reports. Such dialogues have taken place several times during the political crisis. According to the White House, the Vice President of the United States also called Yanukovych to withdraw special squad soldiers from the streets, to release detained people and to bring to book all the people guilty in attacks on journalists and protesters. At the same time High Representative of the Union for Foreign Affairs and Security Policy Catherine Ashton will visit Kyiv today and she is about to meet with Yanukovych and leaders of the opposition. Ukraine’s Foreign Ministry has called on foreign politicians not to make irresponsible statements and not to spread inaccurate information so as not to complicate the political situation in Ukraine. Foreign Minister Leonid Kozhara said that allegations by Member of the European Parliament Rebecca Harms that a number of high-ranking Ukrainian officials have foreign passports are untrue. “The Ukrainian politicians, who were mentioned in the statement, have no passports other than Ukrainian,” Kozhara said. He described Harms’s allegations as unacceptable and based on unfounded presumptions. “I am calling on all foreign policymakers to avoid hasty statements and carefully verify information before making it public,” Kozhara said. As reported, Harms said that a number of Ukrainian officials, including head of President’s administration Andriy Kliuyev, ex-premier Mykola Azarov and acting premier Arbuzov, have Austrian citizenship. All of them have already denied these allegations. Harms later explained that her words had been misinterpreted, when she in fact said these Ukrainian politicians may have Austrian passports. The Austrian Embassy in Ukraine has also officially denied the rumours. Under the Austrian law, foreign investors have the right to obtain a residence permit, which can later be exchanged for Austrian citizenship, if they invest five million euros in the country. About 60% of Ukrainian citizens are against the seizure of administrative buildings, founder of the group of companies «R&B Group» Yevhen Kopatko told ForUm correspondent. “60% of Ukrainians do not support seizure of the government buildings, 82% of them do not support it in the east and 25% in the west of Ukraine,” he said. 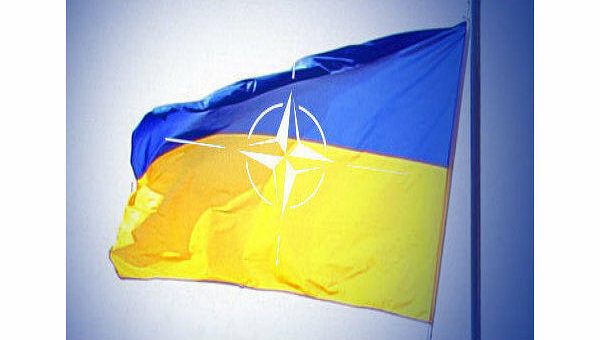 Kopatko released a poll data concerning the mood of Ukrainians in all regional centers of the country. “48 % of Ukrainians are experiencing anxiety, among them 47% in the east, 46% in the west; 35 % of Ukrainians feel hope; 19% – confusion, 16% – enthusiasm, 16% – fear, 10% – hopelessness,” the sociologist noted. He stressed that out of six categories, 92% are negative characteristics and 52% are positive ones. In addition, according to the sociologist, only 20% of Ukrainians are not afraid of the threat of civil war. 38% say that such a threat exists. 31% believe that the probability is high. A man was wounded in the House of Trade Unions in the center of Kyiv, Kyiv Interior Ministry Department informs. At 12.20, a doctor called the police and informed that a man in serious condition had been delivered to the clinical hospital № 17. “The victim was diagnosed eye damage and hand injury. The wounded man is unconscious. Age and place of residence of the man has not been established,” statement says. According to the doctor, the victim was in the House of Trade Unions on the fifth floor, opened a box, and then there was an explosion, which resulted in injuries. The investigative team of the Shevchenkyvskyi district police department is now in the House of Trade Unions. Activists do not allow law enforcement officers to the scene. The second group of Shevchenkyvskyi district police department was sent to the hospital. A freak wave of summer tornadoes has struck northern and western Poland, killing at least one person and injuring another 10 people. In the northern Polish town of Sztum, a large tornado passed through a populated area, bringing high speed winds that dispersed debris over a wide area.